Home / exposed / Nick Sage Psychic Medium clears 30 east drive – Exposed for publicity stunt? 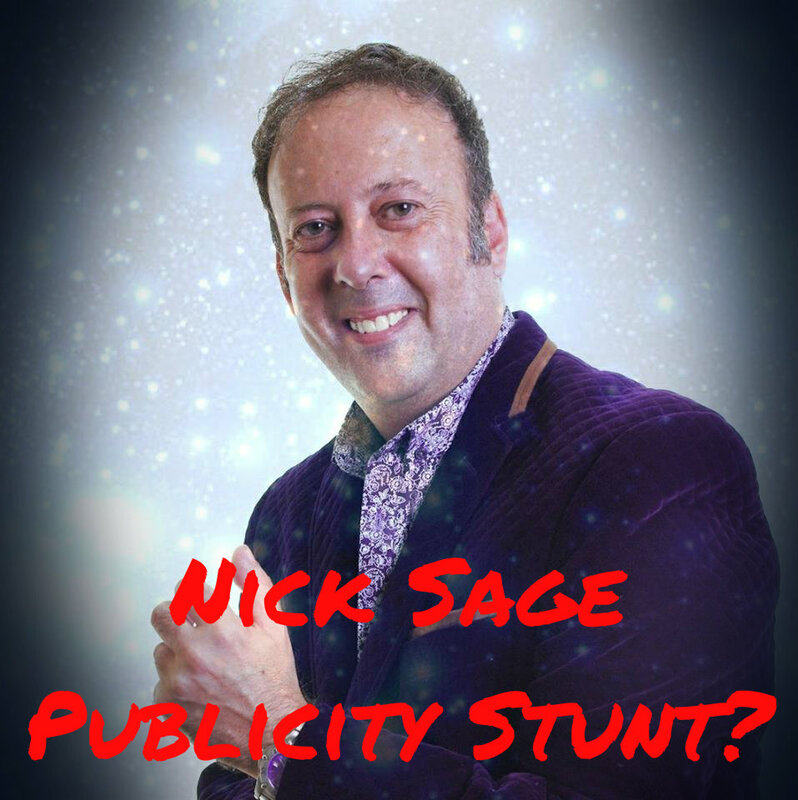 Nick Sage Psychic Medium clears 30 east drive – Exposed for publicity stunt? Nick sage psychic medium claims to have cleansed 30 east drive! This seems to have angered many within the paranormal field. Is it real? or is it a publicity stunt? The Pontefract poltergeist is a well known famous case, with books written about it and films even being. Weekly, this location is booked up by paranormal event company’s and paranormal research organisations. Lets closely exam the posts to see if we can spot any indication on “the truth” to see if this was indeed a publicity stunt? This sends makes the paranormal community go into a fit of rage, and sparks the debate of was it right or wrong? Next statement is that he is banned from 30 east drive! Next up he announces he will be LIVE, About the real story, East Drive. This is pretty cryptic because he doesn’t state hes going back but in the comments, he states “Medium Nick Sage Due to security, I can’t give the date but the filming will be in the Sumner”. This statement makes people think hes going back, when hes already stated hes banned. The next statement is a classic. The next statement is actually nothing to do with east drive but it can be helped to understand whats going on here somewhat if we look at the bigger picture. He does a live stream with “Annabelle the haunted doll” which is pretty ironic the title!, obvious not the real Annabelle, but i think the wording of the video could be intentional to draw in the viewers….. The next post is a free live psychic video readings, yet again another way to capture an audience and drum up PR for his fan page. Are we starting to see a pattern here? Then one final statement about the clearance of 30 east drive. So was this a publicity stunt. If we bullet point the facts and misinformation he has posted it should be able to direct you to the answer. States clearance will be in papers next week, then later says May. Teases that he going back to east drive when he states he is banned for life. Fake front cover article of the sun and states it will be in May. “the sun will not print the story of this on the front cover, pre planned way ahead of time. All of the above are all publicity generating posts to get the spotlight. there is no mention of this 30 east drive spirit clearance in ANY news paper or media outlet as of yet! So is it a publicity stunt…it is seeming that way! The spirit clearance could be a real attempt, but the media buzz seems all fake. The next question is was it right to do a cleansing of a property he did not own? or get the consent to do. I would like to start this by saying no one owns a spirit as their own, as science has yet to prove ghosts exist and that no one should play god on weather the spirit goes or stays within a private property. When you enter a private property, you are expected to respect the client’s home, and their best wishes, no matter what the rules are. His house his rules, disobeying any rules which causes any damage can be legal binding. Surly he must have had some rules to follow on entry. i think what he did is wrong and not his place to so what he did to a place where other teams go. would he like it if everywhere he went was clensed by the last team leaving less to reseach due to everywhere being clensed.